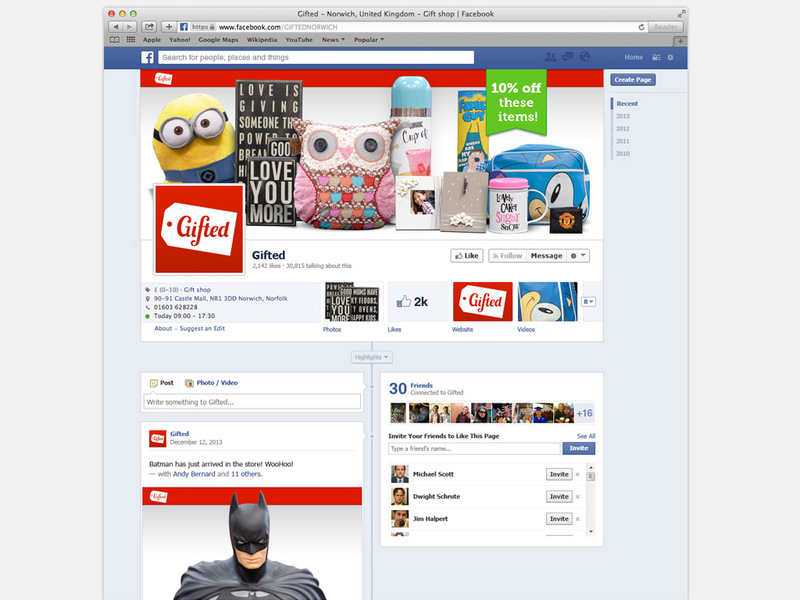 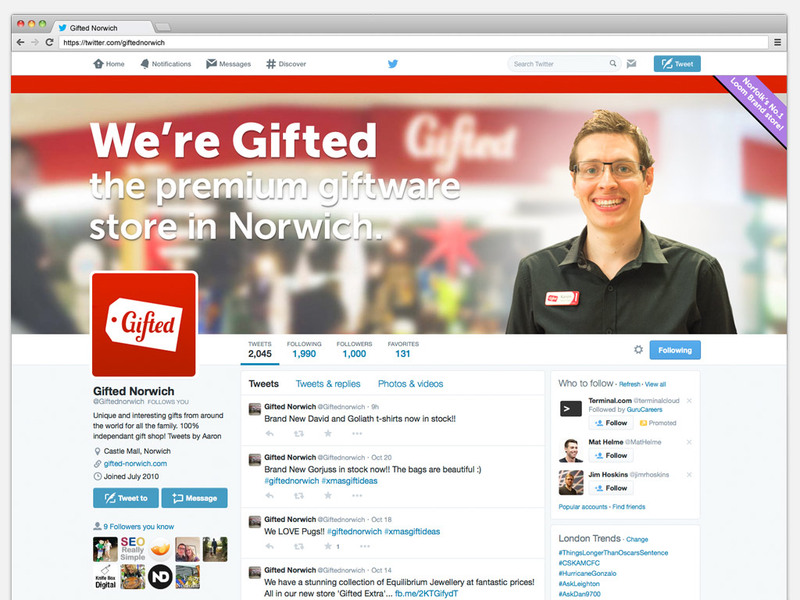 Gifted is a chain of premium giftware stores in East Anglia. 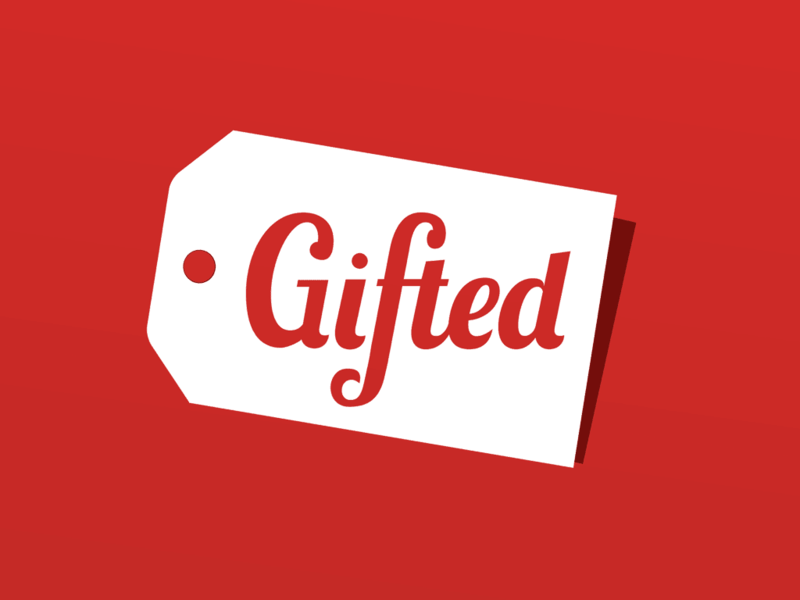 Offering a huge selection of branded and designer gifts for all the family. 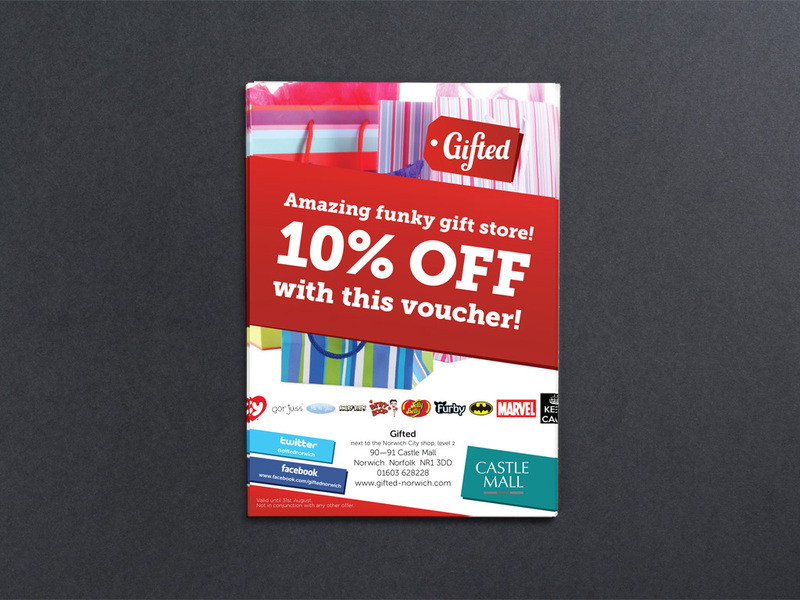 Established in 2011 with the goal of becoming the destination on high street for gifts and novelties. 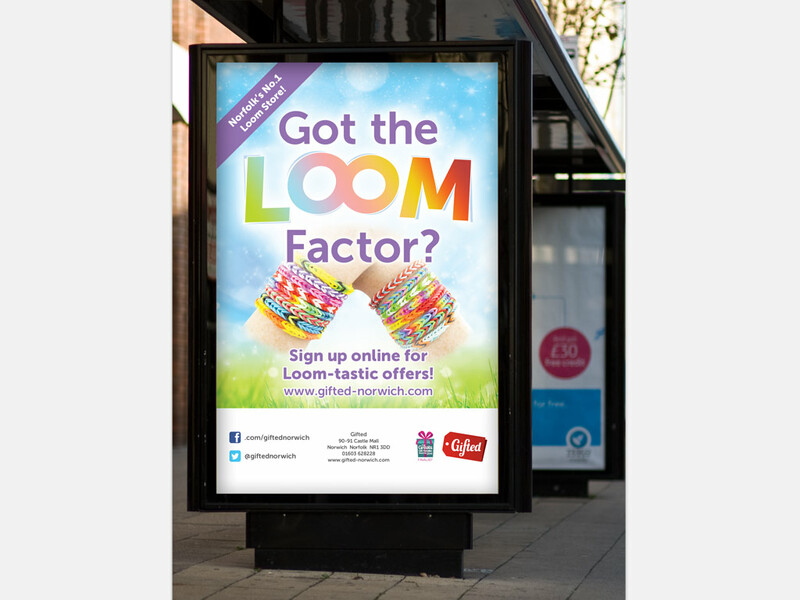 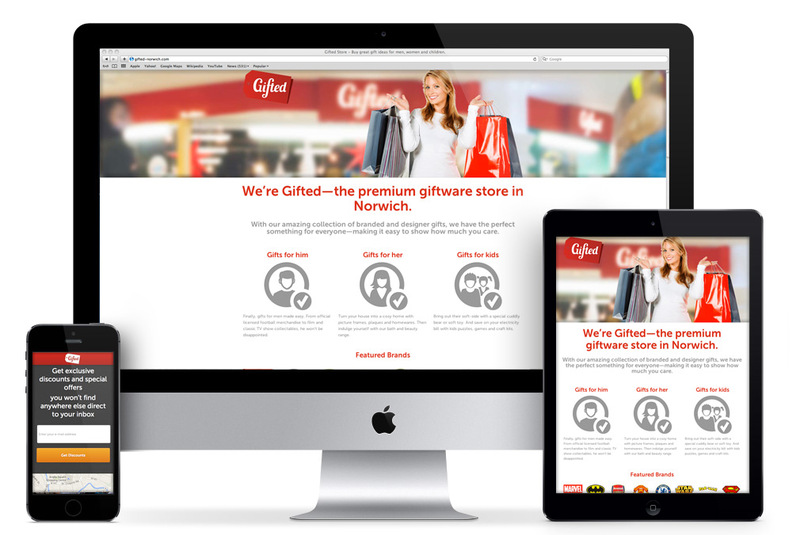 Design the identity of brand-new chain of East Anglian based giftware stores. 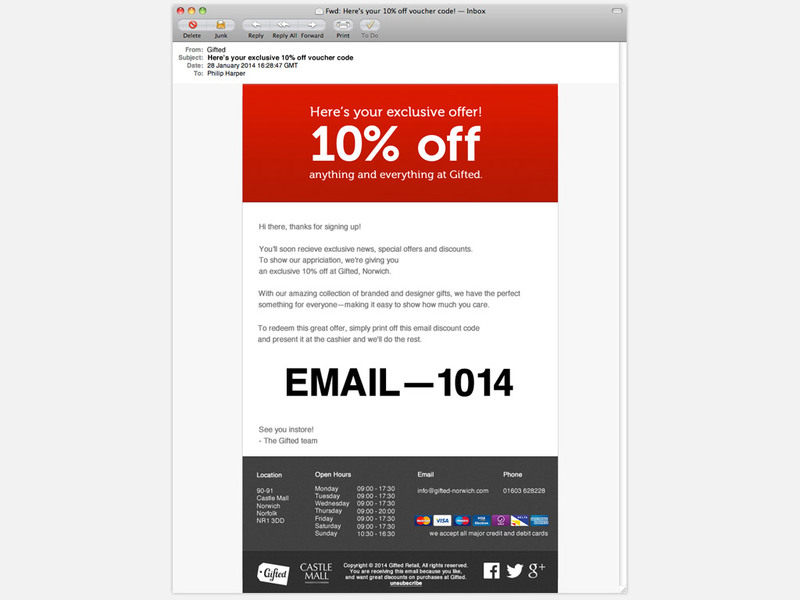 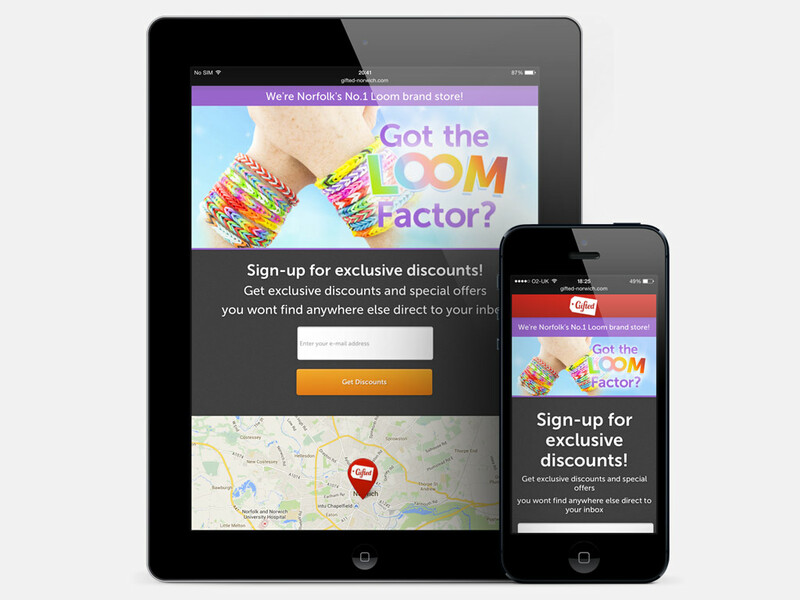 Then apply this brand world to a range of marketing materials on and offline. 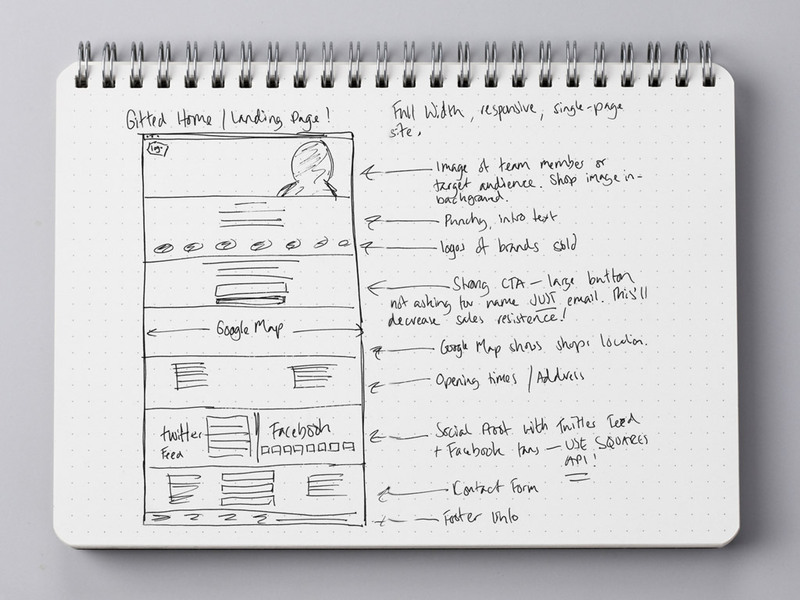 Make use of a familiar device and customise a cursive typeface to add a sense of personality.